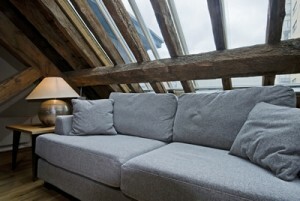 Has your loft conversion left you all in a clutter? Let’s face it, a loft conversion can be a fantastic way to get extra space in your house, without losing any of your precious outdoor space – and our amazing skills in that area (even if we do say so ourselves!) are one of the reasons why we are one of the premier builders for loft conversions in Bolton. However for many of us one of the unexpected downsides of having our loft beautifully converted into a stunning master bedroom suite, spacious playroom for all of the kids’ toys or a dedicated man cave, is that suddenly we lose all of that storage space. But fear not! Here at Wisecraft we have lots of nifty hints and tips to help you regain lost storage space from places you never even knew existed (or, at least, you knew they were there but had never thought about using them for storage!). This may seem somewhat counterintuitive, but even with the most spacious loft conversion you can still keep a surprising amount of storage space. For example there is often an amount of loft space that is difficult to reasonably use as living space, such as into the very corners of the eaves, which can be boxed off and can still provide extremely useful storage whilst not really losing very much floor space from your new room. Obstinate places that don’t make great living space can in fact make fantastic storage space with just a little vision. The sloping, slanted space under the stairs is rarely going to make a perfect dining area but can either be boxed off to provide a large cupboard for household appliances and other large items, or fitted with made to measure shelving to create organised storage for smaller items or even turned into a home office to which you only need to wheel up a chair. Try going up, up, up! In many houses there is a wealth of unused storage space, just look upwards! By simply extending shelving and cupboards etc right up to the ceiling you can create a surprising amount of extra storage. And yes, it may be a little more difficult to reach, but surely you would only be storing things up there that were previously in your loft? For more information about gaining a new living space in your loft without losing too much of your valuable storage, contact the loft conversion experts at Wisecraft today. We are more than happy to come round and provide free, no obligation advice and quotes – all we ask for is a cup of tea….with 3 sugars!